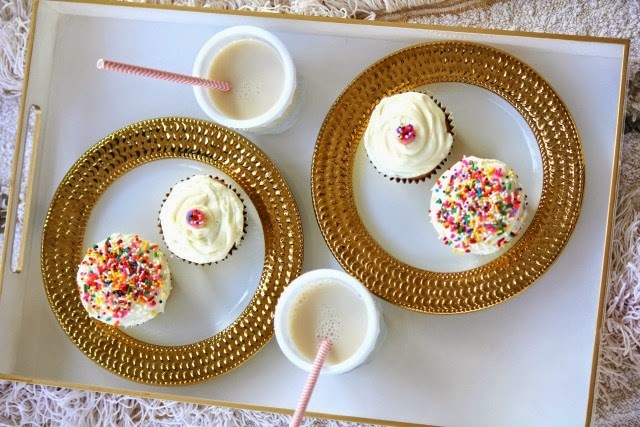 Mix cake mix + frost cupcakes as normal. Pipe pink icing on top of the cheerios and add sprinkles. That's all! The piping process was a little more difficult than expected simply because I was trying to be a perfectionist about it, but that didn't exactly work out. However, they turned out to be super cute, nonetheless. 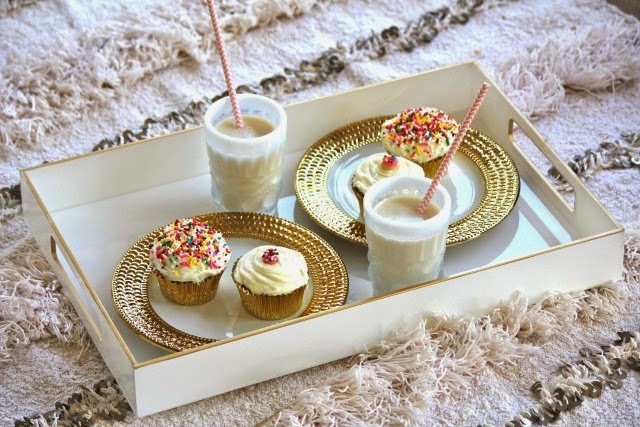 I love making sweet treats any day or the week - it's the perfect little pick me up! Such cute! I love this! Great photos! Those plates are fabulous! I want to hit up my marshall's and see if I can find some! Oh my gosh, this is all soo cute. 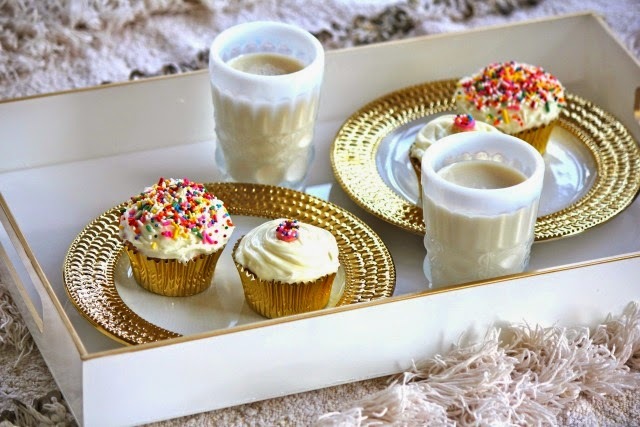 I love the gold plates with those frosted milk glasses, and I really want one of those precious cupcakes right now! 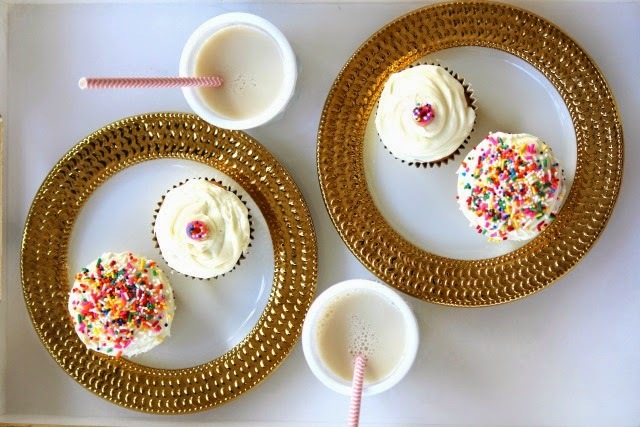 I love this and I love cupcakes! I may need to try this. Beautiful photos!